Vertigo refers to the sensation of spinning or being off balance. If you have these dizzy spells, you might feel like that you or your surroundings are moving or spinning. This feeling can happen to anyone but is most common in women and people aged 65 and over. Attacks of vertigo can be barely noticeable or can be severe that they can affect your ability to function in daily life. If they happen at night, they can interfere with your sleep. Attacks can last for a few seconds or several days and can be temporary or long term. It’s worth mentioning that vertigo is not a fear of heights as most people believe. However, while the fear of heights may accompany a spell of dizziness, vertigo can happen anywhere. • Benign paroxysmal positional vertigo (BPPV) occurs when tiny calcium particles (responsible for keeping your balance) clump up in your inner ear canals. The vast majority of (90%) vertigo cases are attributed to BPPV. • Meniere’s disease is an inner ear disease thought to be caused by an abnormal amount of fluid (endolymph) in the ear. It can cause recurring episodes of vertigo along with a feeling of fullness in the ear, ringing in the ear (tinnitus) and hearing loss. • Acute peripheral vestibulopathy (APV), also called labyrinthitis or vestibular neuritis is a viral inflammation or ischaemia of the inner ear. The syndrome is characterised by vertigo, falls, unilateral canal paresis with normal hearing, and past pointing towards the affected side. Research strongly suggests that there are associations between sleep quality and illnesses associated with dizziness such as vertigo. We often change the position of our head when we fall asleep and as we wake up which can trigger vertigo. Attacks of vertigo can make you extremely uncomfortable and delay your sleep. And as we all know; poor sleep quality can have significant negative effects your daytime functioning. • Consider vestibular rehabilitation – this exercise-based program is aimed at improving balance and strengthening the vestibular system. • Try canalith repositioning procedure/manoeuvres (CRP) – CRP is a series of head and body movements designed to remove calcium deposits trapped in the ear’s semi-circular canal. These movements are safe and effective in treating benign paroxysmal positional vertigo. • Elevate your head – you can sleep with your head propped up on two or more pillows. While some cases of vertigo go away without any treatment, some do not. If you experience repeated episodes of vertigo for months, it is important that you see a medical professional. Depending on the cause and the severity of your vertigo, your medical professional may recommend chiropractic care, medication or surgery. 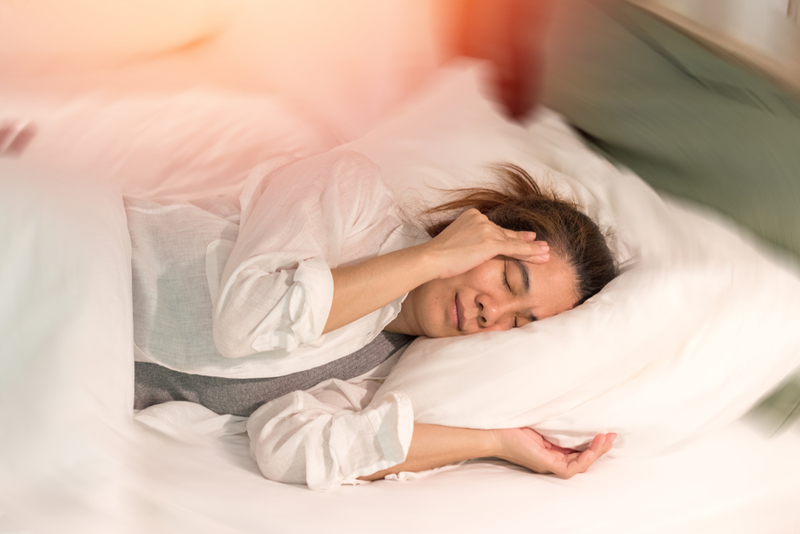 The team of chiropractors at Neuroworks can help if you are experiencing any of the symptoms of vertigo or if your sleep is affected by vertigo. Speak to the Neuroworks team on 020 8566 3757.